Some of the world’s leading airlines do not have emission-cutting plans beyond 2020, according to new research backed by investors worth trillions of dollars. 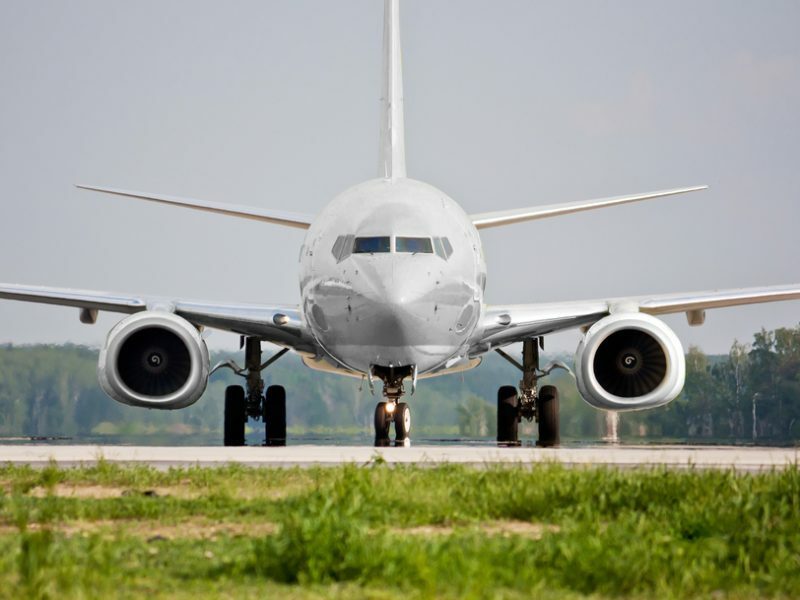 A study by the London School of Economics published on Tuesday (5 March) has revealed that none of the world’s top 20 stock-listed air carriers have any plans in place to manage their greenhouse gas emissions after 2025. Using corporate disclosure data, the researchers found that European carriers EasyJet, IAG, Lufthansa and Turkish Airlines are currently sticking to the Paris Agreement’s goal of limiting global warming to 2 degrees Celsius. However, British Airways parent company IAG and Lufthansa have only planned ahead as far as 2020. The next decade is seen as a critical period to achieve long-lasting emission cuts. EasyJet comes out relatively well from the study, as the British airline is on track to stick to 2 degrees until 2022. It and Turkish Airlines are the only carriers studied to plan beyond 2020, although the latter will not manage to stick as closely to Paris the way things stand. 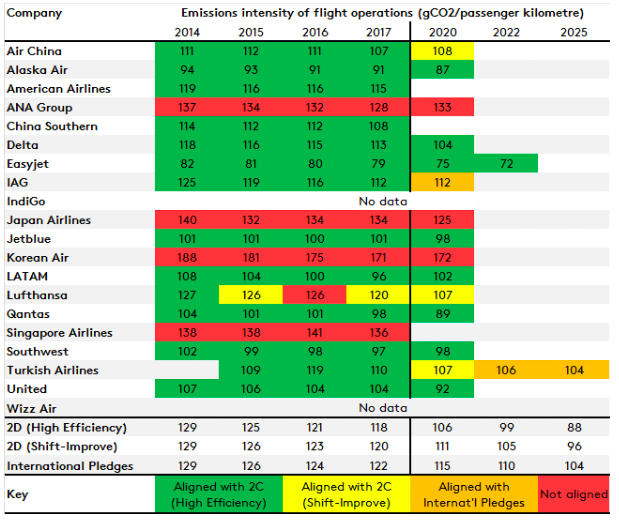 North American airlines Alaska Air, Delta, Southwest and United all reported encouraging numbers for the carbon intensity of their flights but they too have not declared any post-2020 plans. 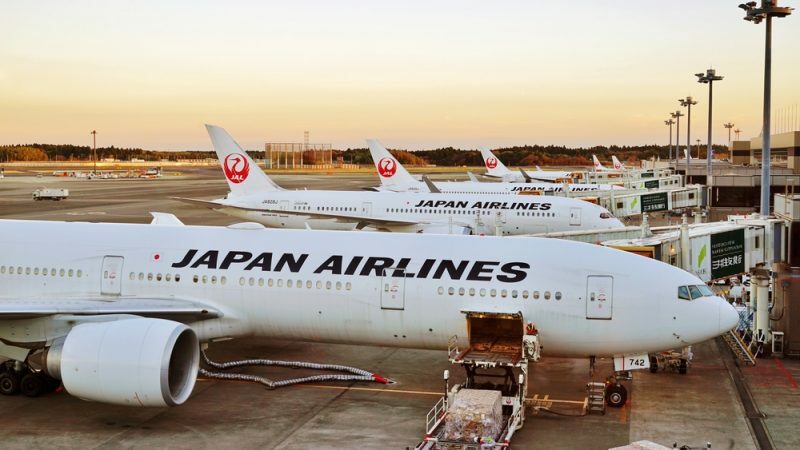 Far East players ANA, Japan Airlines, Korean Airlines and Singapore Airlines are currently not aligned to the international climate accord in any shape or form. There are also concerns about how airlines will actually reduce their emissions and whether they will rely too heavily on carbon offsetting schemes rather than cutting them out at source. “Offsetting is no substitute for a clear strategy to reduce emissions, and the International Energy Agency’s carbon budget for air transport excludes the use of offsets,” said Faith Ward of the LSE’s Transition Pathway Initiative. “The aviation sector is doing the basics when it comes to carbon performance, but investors are urging them to take more significant steps,” she added. In January, the European Aviation Environmental Report revealed that emissions are still rising. Despite improvements to aircraft and engine design, the increasing number of flights means CO2 has gone up by 16% since 2005. The Transition Pathway Initiative also insisted that airlines should start taking into account the non-CO2 related environmental impact of flights. Scientific consensus now believes that high-altitude flights create extra warming effects thanks to aircraft contrails. EU environment ministers will on Tuesday consider a proposal by Belgium to impose taxes on airlines to help deal with the sector’s contribution to climate change, either through tariffs on tickets or a tax on fuel. Belgium’s plan is to either tax kerosene or to start charging VAT on tickets. The proposal reads that “more environmentally friendly modes of transport such as trains are more taxed than air transport”. The Netherlands made a similar proposal to finance ministers last month. Environmental impact will also be one of the features of a new bilateral agreement between the EU and Qatar, the first of its kind with of the aviation-dominating Gulf nations. The freshly inked deal includes transparency measures when it comes to reporting and accounting standards and will liberalise the airspace between the two parties. But pilots association ECA were non-plussed by the agreement and criticised the commercial opportunities opened up by the pact. “Without wishing to downplay Qatar’s role as a global aviation player, it is only one country in a sparsely populated area and which hardly matches the opportunities provided by the access to the huge EU market,” said ECA president Jon Horne. However, the association did acknowledge that the agreement means Qatar will have to ensure compliance with International Labour Organisation provisions. The Gulf kingdom is regularly criticised for its working conditions. Qatar Airways, the nation’s state-owned airline, did not feature in the LSE study.